Bulk SMS Coimbatore Company is the part of Creative Point. Creative Point is the leading and trusted Bulk SMS companies in coimbatore. We provide best solutions to our clients for achieving their business goals by providing the best marketing campaign solutions in a short time period with the lowest cost price. 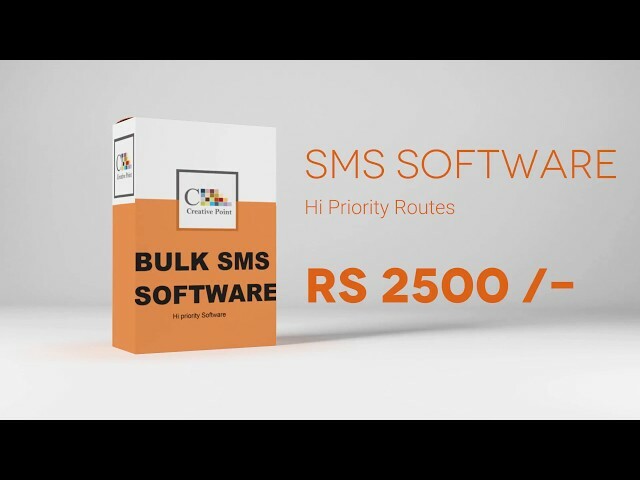 Bulk SMS Coimbatore is the cheapest and the best advertising company in Coimbatore. We provide low-cost service with the best Bulk SMS packages / campaign in Coimbatore. Instant delivery and best quality are our special marketing features. Send SMS and engage your customers with lot of offers, discounts, promo codes etc. you can send wishes, new product launch to your clients on every occasions and you can stay in touch with your customers. Increase your business leads by sending regular marketing sms campaigns such as offers and discounts. Send Transactional SMS to notify your regular clientele such as invoice billing alerts, payment reminders, OTP notifications, Ecommerce order confirmation, Order delivery, returns etc. it should not be used for promoting your products or services. Coimbatore's most preferred SMS Marketing platform for mass campaign promotion. We have users database of most of the categories with pin code wise. Due to increase in mass number of smart phone users, you can easily reach your brand inside your customer pocket within few seconds. Supports Tamil SMS, Hindi SMS etc. Application Programming Interface (API) is a set of protocols for running a application software. We provide SMS API service with simple parameter with login details for sending hassle free instant messaging with sample coding. Our API is simplest, fastest and reliable for any developers and it can be integrated to any programming languages. Whatsapp is a great business marketing tool where you can send bulk whatsapp messages and reach large number of targeted customers. We offers the best whatsapp marketing software 2019 for promoting your business. Contact us for free whatsapp marketing software demo. Send pre-recorded voice messages in bulk to mobile numbers and landlines across countries. Our voice call broadcasting software enables you to communicate to your customers through voice through a complete master class web based software.